If you are looking to invest in the real estate market, discover your new home, or simply rent, you are sure to discover a multitude of options in the City of Englewood, Colorado. 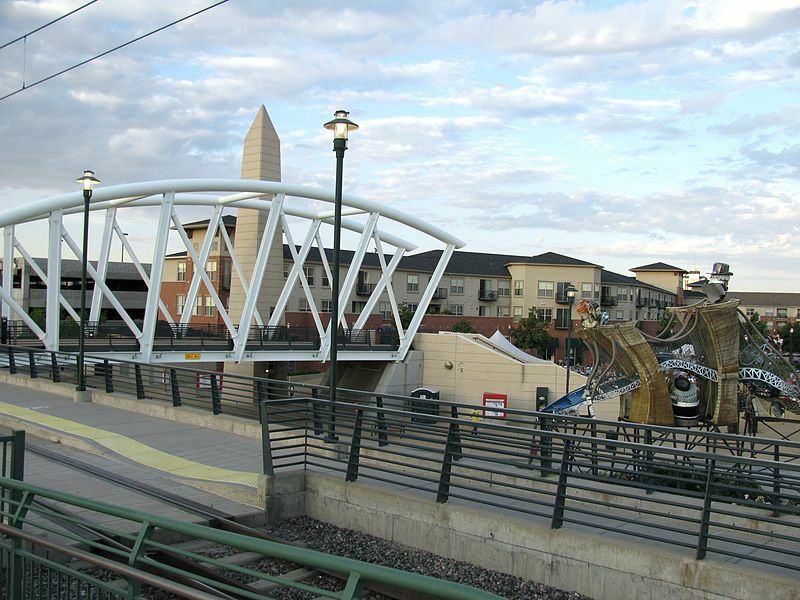 This city became incorporated in 1903 and is located just 20 minutes from the busy, downtown region of Denver. Known for its charm as a quaint, small town, it is the perfect location for those seeking proximity to a major metropolitan-based area for career opportunities, transportation venues, unique shopping experiences, and a multitude of educational opportunities. By Dwillsey at English Wikipedia – Transferred from en.wikipedia to Commons., Public Domain, Link? 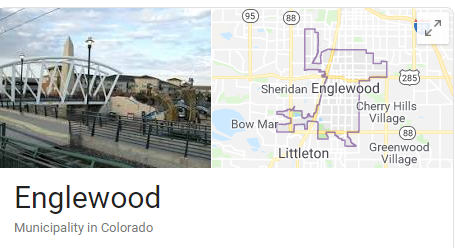 Englewood, CO combines the elements of a beautiful residential region, a highly diverse commercial district, and a multitude of cultural facilities in order to create a unique civic-based patchwork of lavish luxury. It is all connected by well-kept grassy pathways, well developed roads, and is accessible to residents and guests alike by bus, car, bicycle, or even a light railway. If you are in the market to buy or rent in a unique region in Colorado, Englewood is for you! Englewood’s climate is a main component to the high-quality living and general lifestyle that the residents of the city enjoy year-round. The average high of the area is a mere 65°F. The average low temperature is only 36°F. On average, the area receives approximately 256 days of sun. The average rainfall measures in at just under 16 inches and the average annual amount of snow received each year measures in at just under 60 inches. If you are in search of a beautiful place to live that offers spectacular weather, you are sure to discover that Englewood is the place. Englewood, Colorado includes well over 1600 businesses. The sectors include customer service, manufacturing, and industrial. Currently, there are approximately 25,000 full time jobs in the region. In the office and the professional sector, there are approximately 12,000 jobs. Retail makes up about 5,000 of the available jobs. In the industrial sector, there are about 9,000 jobs. If you are seeking to invest in real estate, this area is ideal due to the career opportunities. If you are seeking to purchase a home or rent in the area, you will find that there are many steady job opportunities that offer tremendous career growth and stability. The private college, University of Denver, is located in this area. In fact, it is this school that helps to create the fun, college character associated with the city. In terms of the public-school system, most residents are served by the local district; however, some are served by the school districts of Sheridan, Cherry Creek, and Littleton. There are two highly reputable high schools, two middle schools, and an additional four elementary schools in the region. There are several private schools and even an early education center designed to give kids a huge head start on their educational career. It does not matter if you are in search of top-rated schools for your child or teen, or reputable colleges, you can find it in Englewood. Given the fact that Englewood is considered to be a suburb of Denver, there are many activities to do in and around the region. Regardless of your age, you are sure to find a wealth of activities to keep you happy. During the summer months, you can cool off at the Pirates Cove Family Aquatic Center. This attraction has pools, a lazy river, and many water slides. Other options include the South Platte River Trail, the Broken Tee Englewood Golf Course, and the Bear Creek Trail. If you have a passion for music or the arts, you will also discover many exciting adventures around Englewood. Examples include concerts by famous artists in the Hampden Hall, visiting the Museum of Outdoor Arts, and attending events at the famous Englewood Civic Center. By exploring the area, you will discover that this city is bursting at the seams with opportunities for fun, socializing, and excitement! It does not matter if you are a millennial, a baby boomer, or part of the senior community, you will discover that Englewood, Co has many opportunities for education, employment, socializing, shopping, and entertainment. In fact, it is these opportunities that has resulted in steady population growth in the area. The highly diversified and extremely strong educational and employment opportunities have created a highly unique environment that is sure to please those who choose to buy, sell, or rent property in the area. If you have an interest in buying, selling, or renting real estate in Englewood, Colorado, we here at Pioneer Property Management can help. We are a seasoned, full-service real estate and property management company that specializes in assisting individuals with the buying, selling, and renting of property. We keep track of the current trends and listings in and around Englewood. Given we specialize in rental property, we offer a full line of property management services including tenant screening, rental marketing, tenant selection, maintenance, the collection of rent monies, contracts, and more. We assist both the tenant and the landlord. If you are seeking to rent or buy in these areas, we can assist you. If you are already in the real estate business and have a desire to sell out, we can help with that, too! Englewood offers many unique opportunities – regardless of whether you are a buyer, seller, or a renter. For more information on those opportunities, the area, or information on how we can help you with all of your real estate needs, simply contact one of our professionals today.